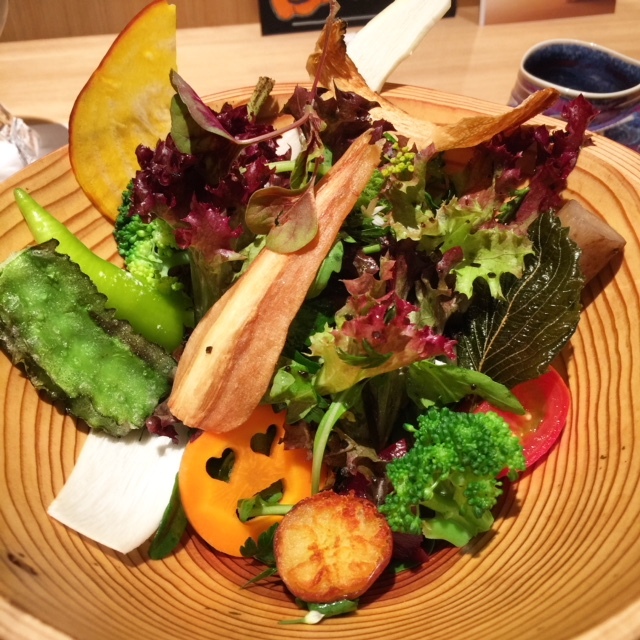 Much has been written about restaurant Jimbocho Den since its 2007 opening by chef-owner Zaiyu Hasegawa, then a 29-year-old unknown. Today, he is no longer unknown. Den is almost always on the must-dine list of those passionate about Japanese cuisine, both from Japan and abroad. 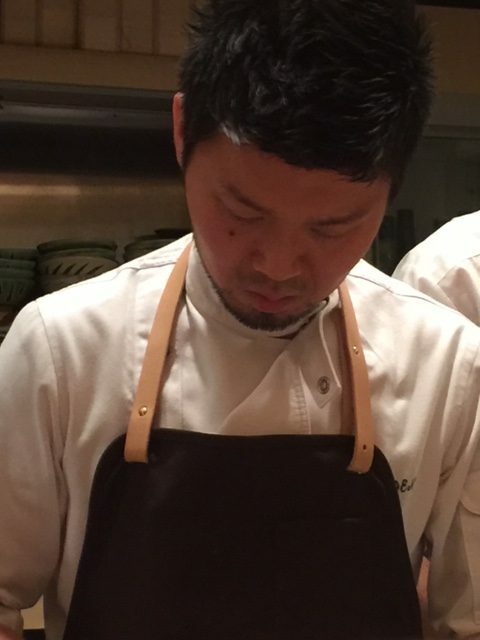 In addition to being awarded two Michelin stars, it has also garnered a coveted spot on the World’s 50 Best list. 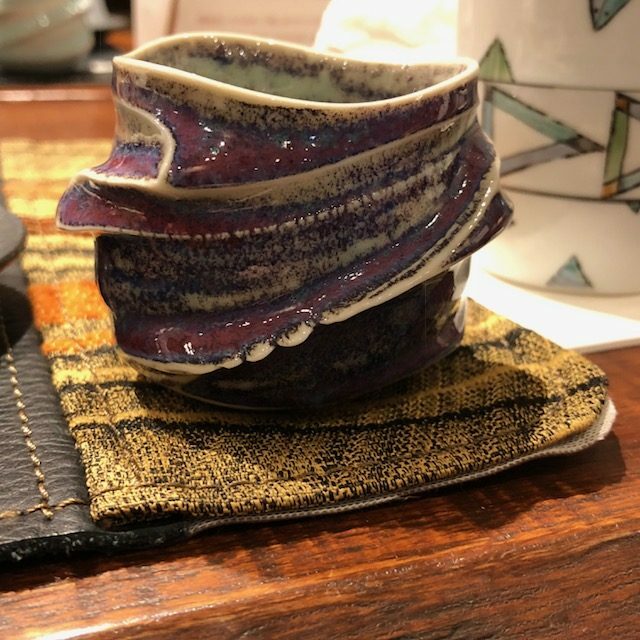 A dinner at Den typically has eight courses, each served on a seasonally-appropriate dish or vessel made by one of Zaiyu’s artist friends. 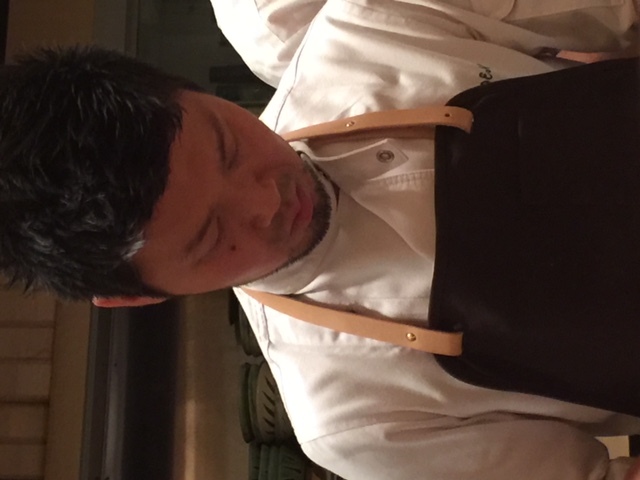 From the delightful foie gras monaka that blends East and West, to a multi-vegetable salad with greens and roots from Zaiyu’s sister’s Chiba farm, to the unveiling of the rice course toward the end of the meal, each moment of service, each mouthful of his food is pure bliss. 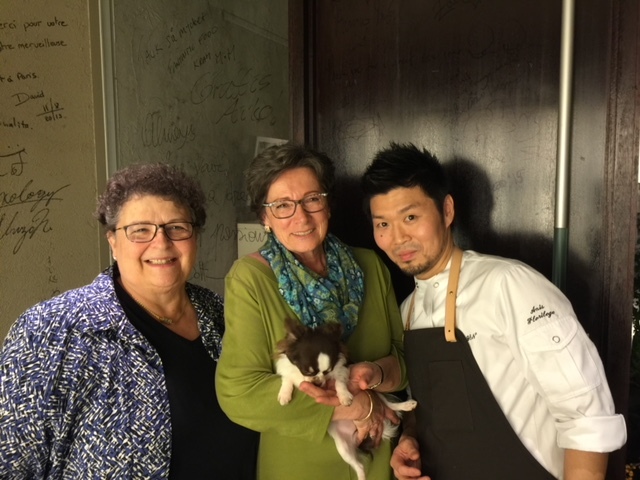 The preparation of seasonal ingredients allowing his guests to appreciate the nuanced flavors is one of the important factors Zaiyu considers when creating a menu. Our first dining experience at Den in 2013 was very intimate. We were the only guests present in the room, alone with the chefs for the first 45-minutes. Other than a few online photos, we had no set expectations and intentionally kept it that way to maximize our surprise. Seated at the intimate 9-seat counter, we watched the intricate yet efficient movements of Zaiyu and his staff. 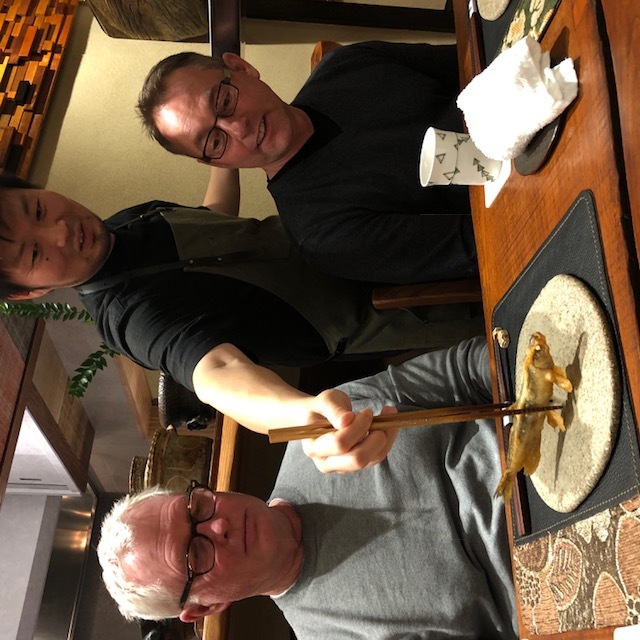 Each course thrilled our eyes and taste buds and we witnessed how the foundations of nihon ryori support the contemporary and, at times, whimsical approach for which Zaiyu is known and loved. Not quite two years ago, Den moved from its original location in Jimbocho to a larger space across town on the northern edge of Jingumae. Personally, I miss the intimacy of the 9-seat counter first floor space. Now, however, Zaiyu has full view of all his diners and can more readily anticipate their needs. He sees the happiness that his dishes bring to his guests. It is a more casual space that invites everyone to relax and enjoy their dining experience. The meal and its preparation are, of course, very important to Zaiyu and his team. Of equal importance, however, is their commitment to “motenashi,” what can best be described as “the Japanese spirit of selfless hospitality and the desire for the happiness of others.” Zaiyu feels that the spirit of motenashi is a kind of hospitality that may be unique to the Japanese. (I wholeheartedly agree.) 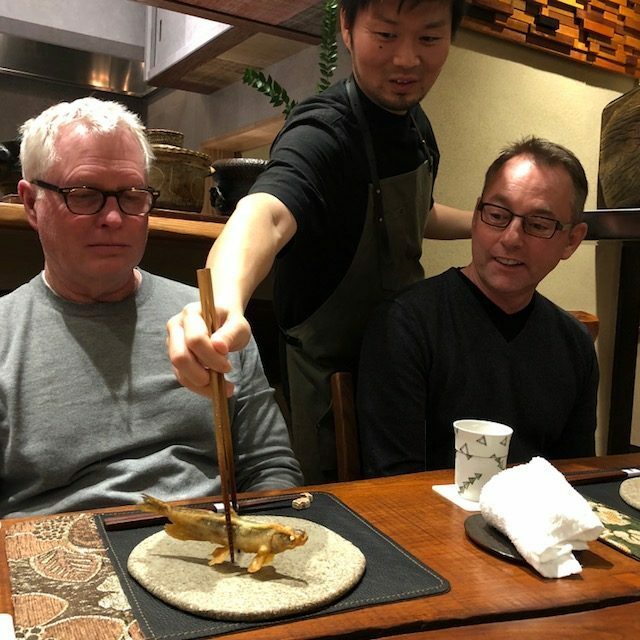 Where some foreigners may think of service as merely an exchange in expectation of a tip, it is not like that for the Japanese. 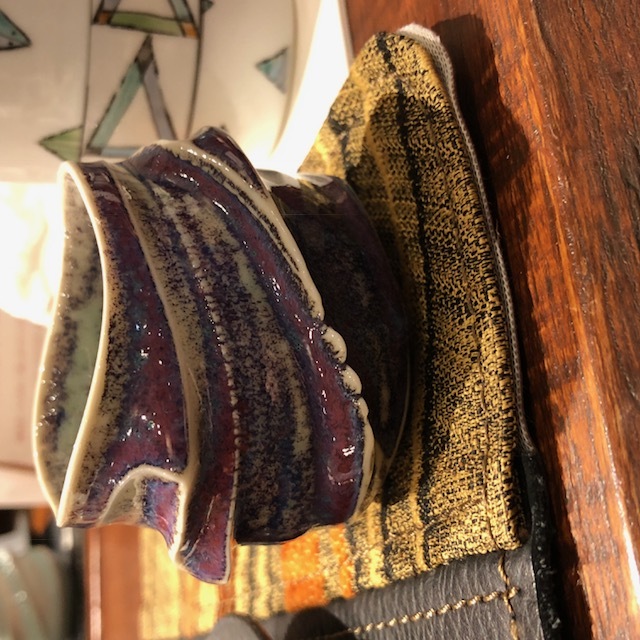 Rather, it is akin to modesty, and the team at Den strives to provide an organic happiness for their guests by keeping motenashi front and center. With careful observation and a keen eye, Zaiyu and his team can anticipate guests’ needs before they, themselves, are even aware of them. It is no surprise that Den won The Ferrari Trento Art of Hospitality Award for Asia’s 50 Best Restaurants in 2017. Zaiyu…a name given to him by a relative who is a Buddhist priest…means “to do good things and to help others.” His favorite word is “fun.” As part of their fun, the Den team travels frequently to places around the world to work and collaborate with other chefs. 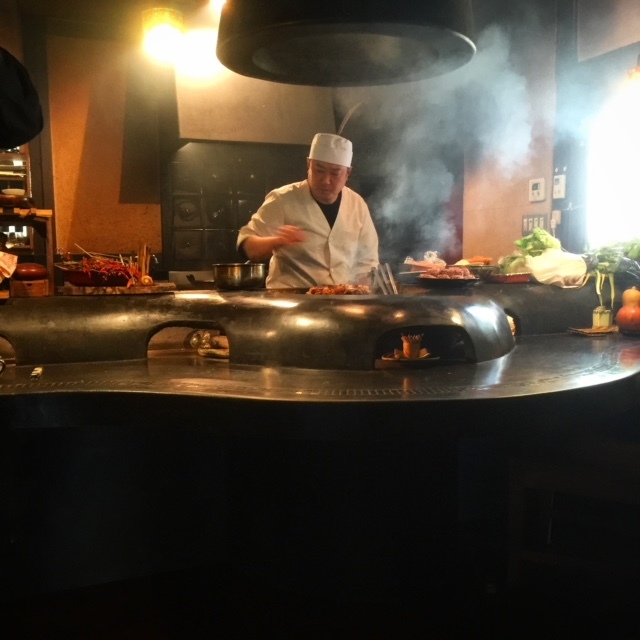 Travel is important to Zaiyu for it exposes him to new ingredients and how other chefs use local ingredients in their dishes. As well, it adds to his appreciation of Japan upon his return, for as he said, “if you [only] stay in Japan, you do not realize what is good about Japan.” Entering another chef’s world, tasting his food, and cooking side by side with him, is all part of Zaiyu’s process. What is most gratifying about Zaiyu and team Den is their focus on being a family. He admits that by himself he can’t do anything, that it’s a combination of everyone’s ideas that becomes what they do. As a vital part of the Den family, the mostly unseen kitchen team in the background works seamlessly with the front-of-house team to offer unparalleled hospitality, balanced with a cool and relaxed vibe. The crowning touch is the opportunity to meet Puchi Jr., Zaiyu’s pet Chihuahua, who holds his front paws together as he bows and bids you farewell.